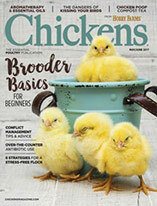 When we moved to our 1-acre home in rural Yulee, Florida, having pet chickens was not in the plans. In fact, it was only because of a very unusual tradition that we got into such a fowl mood. When we first moved in, we generally left our yard gate open. But on every Fourth of July, for a number of years, someone would abandon a very old, ragged, toothless animal, usually a dog, near us, and it would always find its way to our front porch. It would live with us for a year and die. Then another would wander into our hearts. Once, it was a kitten. And then came a rooster. I’d heard him crowing nearby for a week before I saw him hop the fence. I began feeding him, and he must have decided his wandering days were over. When I realized he had only one eye, I naturally named him “Cogburn,” after John Wayne’s patch-wearing antihero Rooster Cogburn in the film True Grit (1969), based on the novel of the same name. 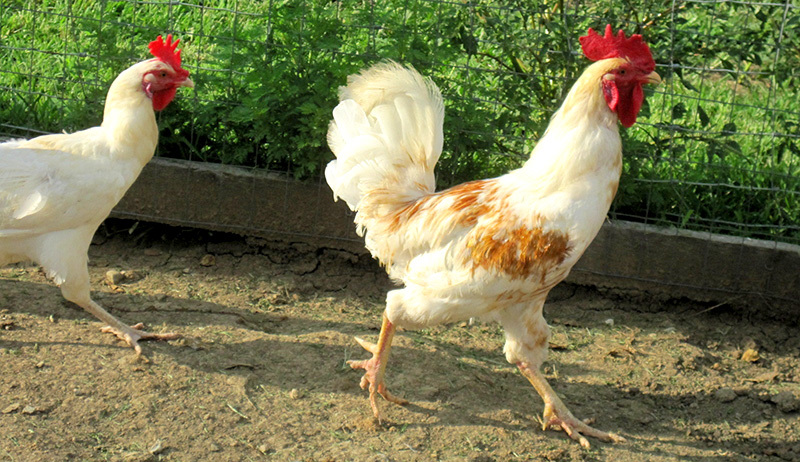 To keep my new “pet” company, I bought a couple of hens. Each night, they roosted in a row of crepe myrtles that I had planted along the front fence, and in the morning, Cogburn would hop down on the wrong side and pace madly back and forth until I shepherded him back inside. I eventually wanted to build them a sleeping coop to keep the whole brood safe from predators. With very little carpenter skills and a limited budget, I wanted something simple, cheap, very easy to clean and capable of handling 12 to 15 birds without crowding. I ended up with a 4-by-4-by-8-foot coop with four perches. To make cleaning simple, the floor is wire and the coop itself is raised up on four large casters that allow me to easily move it from spot to spot. Every two to three days, I hose everything through the wire to the grass beneath. Then I push the coop to a new spot and hose the poultry byproducts into the ground so they don’t burn the grass. In a couple of minutes, there’s no mess, no smell, no flies and well-fertilized grass. Four A/C vents ensure excellent ventilation. If there’s a hard freeze, a VW car cover goes over the coop to eliminate any drafts. Because my schedule sometimes means I don’t close the coop doors until late, a solar-powered LED motion-detector light, mounted just over the entrance, gives any approaching predator a shot of bright light directly into its eyes and keeps the local raccoons, opossums and bobcats at bay. This has worked very well. I have found that covered cat litter boxes make excellent nesting boxes. Mounted on small squares of plywood so they don’t tip over, they’re perfectly sized and easy to disassemble for cleaning purposes. I keep one in the coop and two more in my carport. Because my birds free-range all day, I pile up leaves, limbs and yard debris along my fence for them to scratch in. To minimize the cleanup, I constructed a wall of landscape timbers about 3 to 4 feet from the fence. It keeps about 95 percent of the mulch and compost contained. The birds play and feed all day while enriching the soil and cutting my yard work to the minimum. I also visit the local barbecue restaurants and haul away buckets of oak wood ash to place where the birds bathe. I never see mites or lice, and it costs nothing. Cogburn passed away peacefully six years ago. Today, my flock is a new rooster and 10 hens. They spend their days chasing bugs, mining for worms, enjoying the sunshine and laying eggs. At night, they’re cozy, safe and dry in their little coop. Life is good. 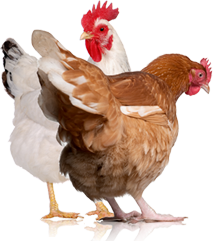 Tell us your story: Email the story of you and your chickens in 750 to 1,000 words to chickens@luminamedia.com (subject line: Chicken Chat). 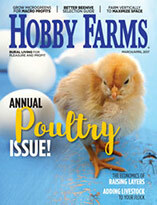 Be sure to include high-resolution images or photos of yourself, your chickens and/or your coop. Chip Kirkpatrick and his birds live in Yulee, Florida.